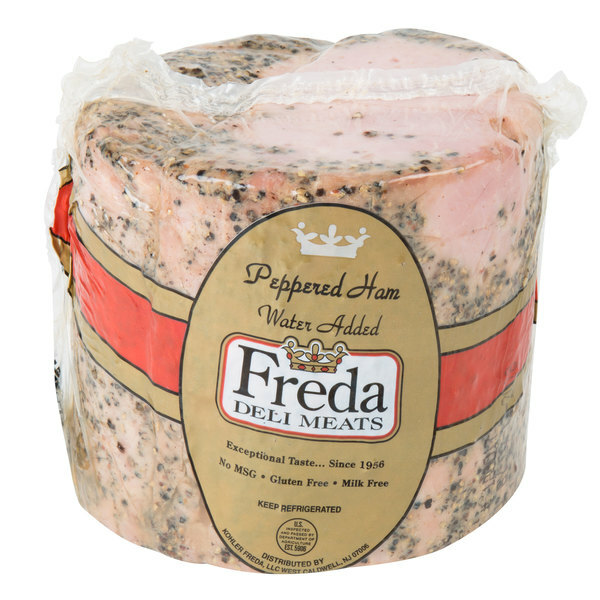 Incorporate tender and juicy ham recipes into your menu by using premium Freda Deli Meats 5 lb. pepper ham! 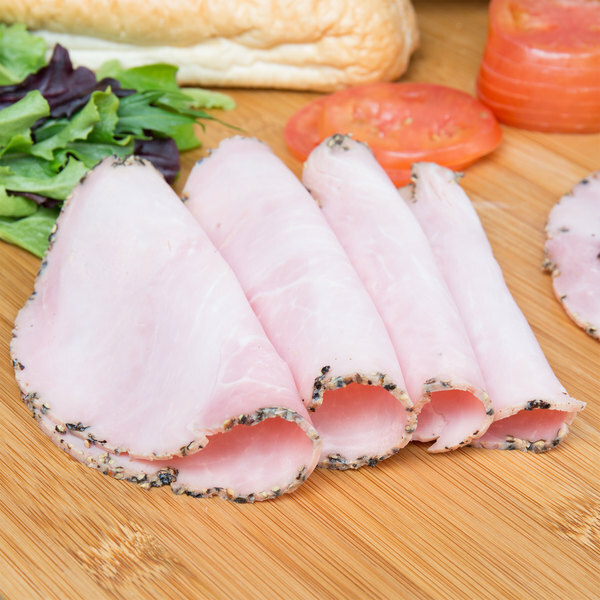 An Italian favorite, this ham is hand rubbed with natural black pepper and garlic for a seasoned taste and texture. This ham also comes ready to slice and serve to your hungry guests for added convenience. This perfectly peppered ham works well in a variety of dishes, from a creamy ham and potato soup to artisanal sandwiches. Add a delicious thick cut slice to a fresh baked roll, add melted provolone cheese, and freshly scrambled egg, and you have a tasty hot breakfast sandwich packed with protein your customers will love! Or, incorporate it into your freshly prepared macaroni and cheese to add a meat lovers twist on a classic favorite. The savory taste of the ham combines with the creaminess of the cheese for a mouth-watering addition to your menu. Since this ham is 98% fat free, and free of MSG you can rest assured that your customers are receiving a natural, quality product. Delicious garlic and pepper flavor. 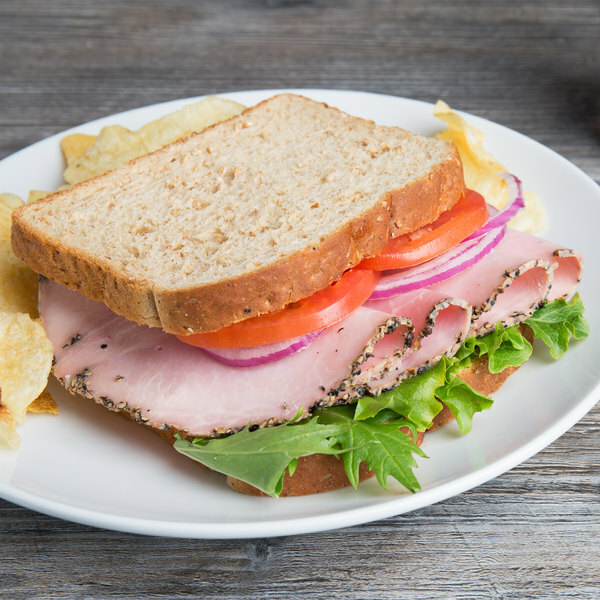 The pepper provides a zesty kick to this moist and flavorful ham. Guests favorite on a tray. Wonderful on rye with brown mustard.